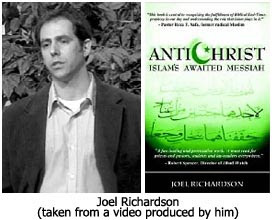 Joel Richardson in his book Antichrist: Islam’s Awaited Messiah argues that the Mahdi will be the Antichrist of the Bible and that the Muslim Jesus will be be the False Prophet of the Bible who serves the Antichrist and his purposes. Both will be destroyed when the true Jesus returns at the end of the Tribulation.17 The true Jesus will be viewed by Muslims as the Dajjal, or the Islamic Antichrist. 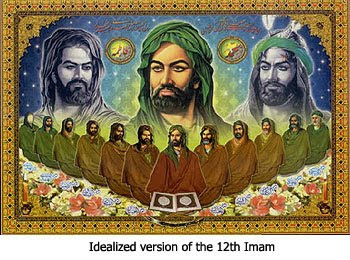 As proof of his thesis, he points repeatedly to the “amazing similarities” and “amazing parallels” between the biblical Antichrist and the Muslim Mahdi.18 He points out that both are pictured as an unparalleled political, military and religious leader who will come on a white horse and who will team up with a false prophet to conquer the world, and institute a one world religion. 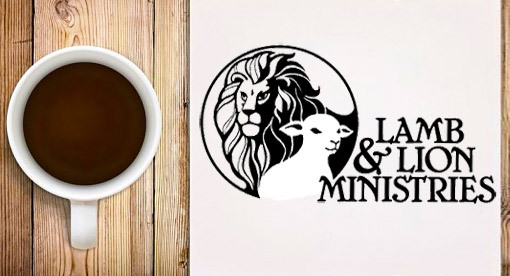 According to Richardson’s end time scenario, the Mahdi and the Muslim Jesus (the False Prophet) will unite the whole Islamic world, reviving the Ottoman Empire.22 They will conquer Israel and establish the headquarters of the Caliphate in Jerusalem. Their rule will come to an end with the Battle of Gog and Magog that is portrayed in Ezekiel 38 and 39, which will occur at the end of the Tribulation, when the Lord Jesus Christ returns. And, again, when Jesus returns, the Islamic world will view the true Jesus as the Dajjal, or the Islamic Antichrist. The Sunni branch of Islam believes that Mohammed’s successor, Abu Bakr, selected in 632, rightfully took his place as the leader of the Muslim world. The Shi’ites, on the other hand, believe that Mohammed’s successor should have been a blood relative and not just a person selected on the basis of Islamic piety or politics. Abu Bakr was Mohammed’s father-in-law. The Shi’ites favored Ali ibn Abi, the prophet’s cousin and son-in-law. 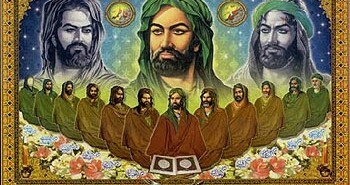 Ali ultimately became the fourth successor of Mohammed, reigning from 656 to 661. After the death of Ali, his heirs were overcome by a military leader named Mu’awiya Umayyad, who proceeded to establish the Umayyad Dynasty centered in Damascus. Shi’ites refused to recognized his leadership since he was not a blood relative of Mohammed. They looked, instead, to the surviving heirs of Ali for their leadership. The blood line of Mohammed through Ali became extinct in 873 A.D. when the last Shi’ite Imam, Muhammad al-Mahdi, who had no brothers, disappeared within days of inheriting the title at the age of four. The Shi’ites refused to accept that he had died or been killed, preferring to believe that he was merely “hidden” and would one day reappear. This event is referred to in Shi’ite theology as “The Great Occultation” (the hiding).25 This boy was the Shi’ite’s Twelfth Imam, and he is the one they expect to return as the Islamic Mahdi. The Sunnis strongly reject this concept, particularly since many Shi’ites teach that the Twelfth Imam will declare that the Shi’ite version of Islam is the orthodox version. As Jacob Prasch has pointed out in his writings on this subject, this aspect of the covenant with Ishmael has been manifested throughout history to this day through the internecine wars between the Arabs.27 They fought each other for centuries in pre-Islamic Arabia. Mohammed believed that he could unite them through the advocacy of a monotheistic religion, but he failed. Sunis and Shi’ites have hated and warred with each other since the 8th Century. Consider the modern day war between Iran and Iraq, and the Iraqi invasion of Kuwait, with the intent of conquering all the Middle East. 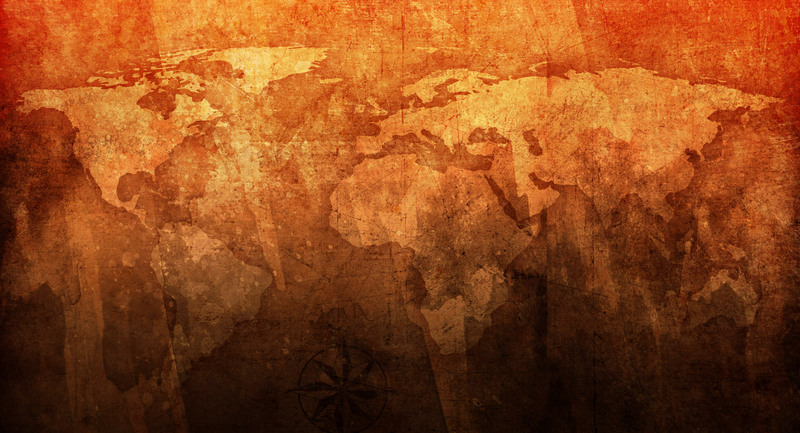 One of the most peculiar aspects of Richardson’s end time scenario is his insistence that the Mahdi’s revived Ottoman Empire will be a regional one and not a worldwide one as is claimed in both Islamic and biblical prophecy. Yet, Richardson tries to dismiss this verse as nothing but hyperbole. He does so by quoting Daniel 5:18-19 where it says that Nebuchadnezzar, was feared by “all peoples and nations and men of every language.” Richardson then asks, “Did every single nation in the earth fear Nebuchadnezzar?”30 My answer would be, “Yes, all nations that were aware of him.” That’s all the statement means in its context. Richardson then quotes 1 Kings 4:34 which says that men of all nations came to listen to Solomon’s wisdom, “sent by all the kings of the world, who had heard of his wisdom.” He then asks derisively, “Was Solomon’s wisdom so impressive that not a single king in all the earth failed to hear of it?”31 That’s not what the verse says. Read it again. It says the kings who had heard of his wisdom sent representatives — not all kings. Furthermore, the worldwide nature of the Antichrist’s kingdom is affirmed in Daniel 7:23 where the prophet states that the Antichrist will “devour the whole earth and tread it down and crush it.” Richardson ignores this verse. Richardson’s claim that the final Gentile empire of the Antichrist will be the revived Ottoman Empire forces him to deal with Nebuchadnezzar’s vision of Gentile kingdoms, recorded in Daniel 2:31-45. 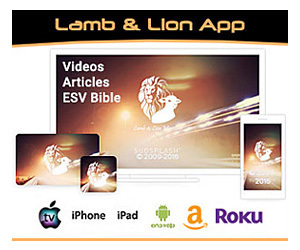 The traditional interpretation of that vision is that its succession of empires ends with the Roman and that it is the Roman Empire that will be revived in the end times and provide the platform from which the Antichrist will arise. Another problem is that Nebuchadnezzar’s dream does not provide for the insertion of the Ottoman Empire. The head of gold stood for the Babylonian Empire; the chest of silver for the Medo-Persian Empire; the thighs of bronze for the Greek Empire; and the legs of iron for the Roman Empire. The feet of iron mixed with clay represent the final Gentile empire out of which the Antichrist will arise. The traditional interpretation has been that the feet stand for a revival of the Roman Empire. Another problem with Richardson’s Ottoman Empire thesis is that he completely ignores the prophecy in Daniel 9:26 that says the Antichrist will arise out of the people who will destroy the Jewish Temple. It was the Romans who destroyed the Temple in 70 A.D. and it is from the Romans that the Antichrist must come. To me, it is just incredible that Richardson would totally ignore this prophecy. The final problem with Richardson’s thesis that I would like to mention concerns his interpretation of the War of Gog and Magog that is pictured in Ezekiel 38 and 39. Richardson favors Turkey as the leader of the coalition.36 Yet, Ezekiel 38 clearly states that the invasion will be led by the Prince of Rosh coming from “the remote parts of the north” or “the uttermost parts of the north” (Ezekiel 38:15). There is no way that Turkey could be considered a nation located in “the remote parts of the north.” Again, this is a verse that Richardson completely ignores. 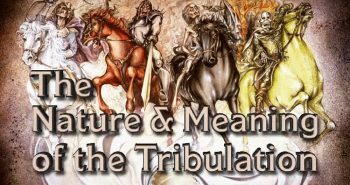 In contrast, the Battle of Armageddon occurs at the end of the Tribulation. And there really is no battle at all. The armies of the Antichrist are destroyed in an instant when Jesus returns to the Mount of Olives and speaks a supernatural word, causing their flesh to drop from their bodies (Zechariah 14:1-13). In the Gog and Magog battle, the invading armies will be destroyed on the “mountains of Israel” (Ezekiel 39:4), not in the Valley of Armageddon, and they will be destroyed by pestilence, hailstones, fire and brimstone (Ezekiel 38:22). Another difference can be found in the motivation of the wars. The War of Gog and Magog results from God “putting hooks in the jaws” of the invading nations and dragging them down against Israel to “capture spoil and to seize plunder” (Ezekiel 38:4 & 12). In contrast, the armies of the world that will be assembled at Armageddon will be gathered by demon spirits (Revelation 16:13-16). Richardson concludes his book by dealing with what he calls “potential problems with his thesis.” He mentions only two. I’m sorry, but I find this very hard to believe. To me, that is like saying that the Muslims would be willing to agree that night is day and day is night. There is a limit to deception. A person would have to cease being a Muslim in order to believe that any man could be God. An equally important fact that I think rules out the possibility of a Muslim Antichrist is that prophecy states the Antichrist will make a covenant with Israel that will guarantee the nation’s security (Daniel 9:27 and Isaiah 28:14-22). I think it is preposterous to believe that Israel would ever trust its security to a Muslim leader or that a Muslim leader would be interested in guaranteeing the safety of Israel. There are other serious problems with Richardson’s scenario that he does not acknowledge. How, for example, does he explain the miraculous resurrection of the Roman Empire in the form of the European Union? It’s a development that prophecy experts have been telling us to watch for, and those alerts go back several hundred years. Is the revival of the Roman Empire just an accident of history? I think not. 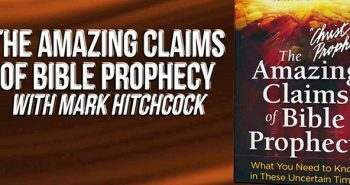 I believe that, just as the Bible prophesies, it is going to serve as the platform for the ascension of the Antichrist. Another problem Richardson must deal with is the worldwide destruction that Revelation describes in chapters 6-9. Those chapters reveal that one-half of the world’s population is going to die during the first half of the Tribulation. Is this going to happen as a result of a regional conflict? Or, is all this just more “biblical hyperbole”? When I finished reading Richardson’s book, I found myself wanting to ask him two questions. The first was what is he going to do with Psalm 83?40 This psalm portrays an attack on Israel by a Muslim coalition consisting of Jordan, Egypt, Lebanon, Gaza, Saudi Arabia and Assyria (Syria). The Bible clearly teaches that God will protect Israel against all such attacks in the end times (Zechariah 12:6). 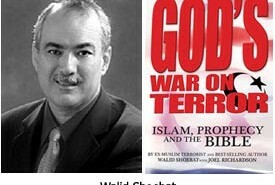 In the next installment of this evaluation of the Muslim Antichrist Theory, I’ll present Walid Shoebat’s thesis as explained in his book and make some objections. 23) Shahid, Pages 45-72. See also, Wikipedia, “Masih ad-Dajjal,” http://en.wikipedia.org/wiki/Masih_ad-Dajjal. 24) HNN Staff (History News Network), “What Is the Difference Between Sunni and Shiite Muslims – and Why Does It Matter?” http://hnn.us/articles/934.html. 25) Wikipedia, “The Occultation,” http://en.wikipedia.org/wiki/The_Occultation. 27) Jacob Prasch, “The Islamic Antichrist: the Unresolved Problems with Joel Richardson’s Theory,” September 11, 2009, www.moriel.org/MorielArchive/index.php/news/uk/the-islamic-antichrist, page 3. 28) Prasch, “The Islamic Antichrist…”, page 3. It is perfectly fine with you that Joel Richardson calls the scripture that states Nebuchadnezzar ruled over the earth hyperbole? 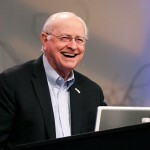 A true Bible scholar would never refer to scripture as hyperbole…. I've seen Joel write this, didn't read it in his book. He wrote it in a thread when his website's comments were enabled several years ago. Consider for a moment the Seven Seals and how they relate. The First Seal, the rider of the White Horse is given a crown and a bow to conquer. Consider this rider not as the Anti Christ since how would the Anti Christ come on the scene conquering and then being the one to propose a peace treaty and security for Israel. Consider the rider as a Muslim set upon the stage of setting the conditions for the Red Horseman of war and societal collapse……In that light the Seven Seals are not a part of Tribulation but the birth pangs that Jesus speaks of in Matthew and the scripture in Daniel and elsewhere of the coming war in the Middle East. I beleive we will see the first six seals prior to Rapture. In reading the 6th Chapter of Revelation they are not given in light of judgements like the Trumpets and Bowls are. They are in the setting of situations, events, or conditions prior to Tribulation….just a thought. Anon said… "I beleive we will see the first six seals prior to Rapture." That makes sense of some of what I have been hearing. That's the second time I have heard mention of 'Herb Peter's', how did his idea come to be agreed by Israel and other nations? Sounds a powerful sort of bloke to have that amount of clout – AND a believer? We MAY see it and guess who a/c is IF we are left till the last second. 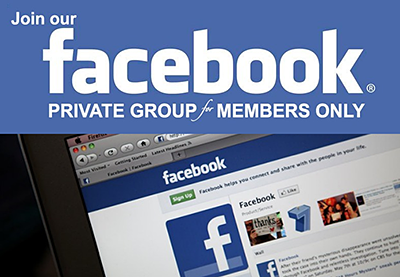 So if after a couple of months we are still here – its not it. "There was also another disturbance at Cesarea, – those Jews who were mixed with the Syrians that lived there rising a tumult against them… Now these Jews exceeded the others in riches and strength of body; but the Grecian part had the advantage of assistance from the soldiery; for the greatest part of the Roman garrison was raised out of Syria; and being thus related to the Syrian part, they were ready to assist it." This was before the siege of Jerusalem. You also said the anti-Christ system won't be Islam, but humanism. You said the anti-Christ system will worship man and deny the existence of God. Yet you also say that the anti-Christ will claim to be God? How will he promote an atheist system, turn the whole world to atheism, and then say that he's God? And why would he want to rule from Jerusalem?– that is, what special place does Jerusalem have to atheists, let alone an Italian atheist dictator?